Rendered from NOAA satellite imagery using Mapbox SDK and #ARKit, Jim Martin (@JimIndeed) created this AR view of the Hurricane. Morten Just (@mortenjust) wrapped some books with web pages, looks surprisingly nice. From a technical POV, it’s just a box geometry same height as the book, then moved down by height * 0.5. Laan Labs (@laanlabs) worked on some sphere detection in AR and created a bocce ball scoring mode for their app AirMeasure. Morten Just (@mortenjust) used Image Live Tracking to show handwritten tech instructions! 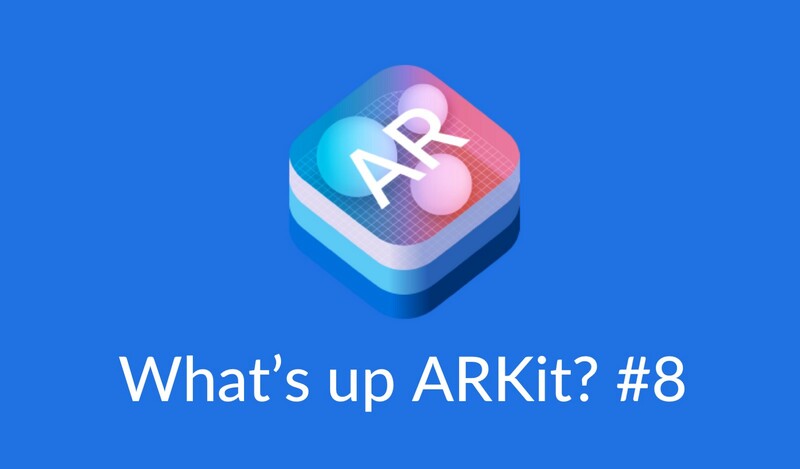 Looks great, could be used with the 3D Object Detection feature of ARKit 2.0 as well. Great tutorial about ARWorldMap, really recommend spending 30min to do it to get around the ARWorldMap object and realise how simple it is to use. KitasenjuDesign (@kitasenjudesign) made an app that deforms your face using Unity and uploaded the source code of AR Face Deformation => source code. Visualise the sun’s position through the seasons and see its effect on your surroundings in augmented reality. Use the app for gardening, interior design, and photography, optimise your life in the sun now!AppStore Link / Website Link. Very nice UI/UX and it is free! Using the Geogebra AR app available on the AppStore, Tim Brzezinski (@dynamic_math) did great examples of how to use the app to get the maths formulas of different objects or apply the formulas and visualize them in the real world. Lamp Example, Trampoline Example, Light Bulb, and many more on his Twitter account.